Basic EDK. Conventional wisdom is that the tails should be 15"18" long. I left them short for the photo. This knot has not been tightened. 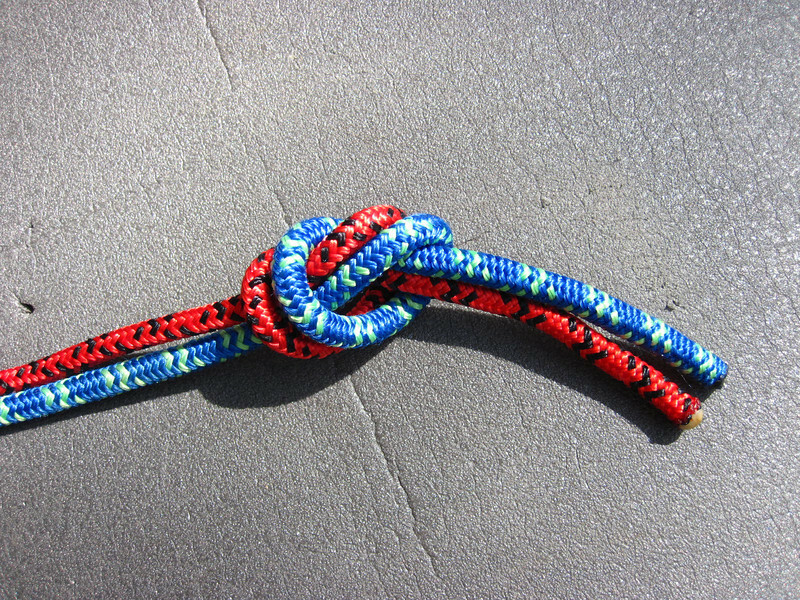 You MUST dress and tighten this knot before rappelling on it.